The QuikTrip in 9400 block of W. Florissant Avenue in Ferguson, Mo. burns after being looted by rioters on Sunday, Aug. 10, 2014. 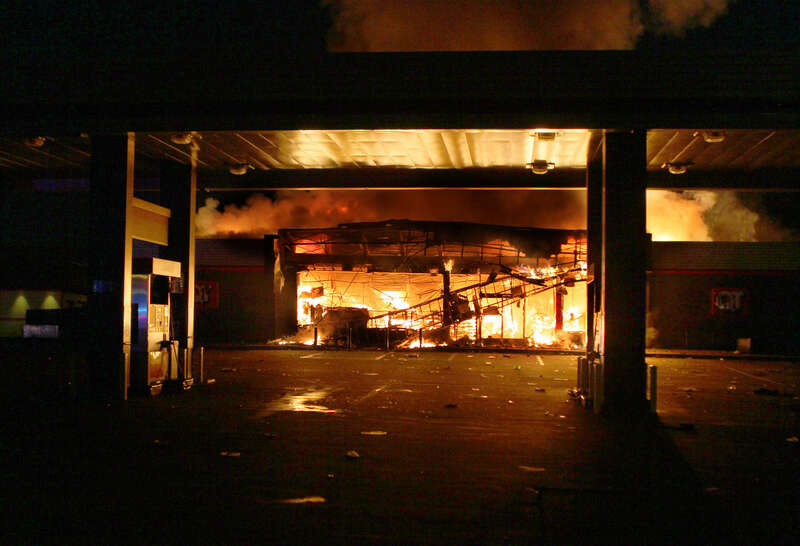 The looting and riots began after a candlelight vigil for Michael Brown when confrontions between police and protesters spiraled out of control.